How is everyone doing Enjoying the Here and Now?? I know I met my goal this week! I scheduled in all the dinners with friends that I wanted to. I thought about my schedule for the summer and which days I will be hitting the beach and I will be inviting my friends along when we go, and I spent time with some of my friends! You can't beat that! In Maine, we are not on summer vacation yet. My little guy is done with school, but my daughter still has another week after this one, so getting to the beach or doing something big during the week hasn't happened yet. You can't beat the view at the beach, right? But another place, that I just love the view is on my very own street. This is no kidding. I have a love/hate relationship with my house, but my neighborhood is the best! In the summer and fall when I pull onto my street and start driving up the hill, I feel so blessed. The trees with their leaves on them and then when they start to change colors is just so beautiful. I am so happy to live in a beautiful neighborhood where we can walk along the pretty streets or take our walk into the woods. There are trails that can lead us down to a beautiful river and waterfall less than 3 miles in. We can enjoy the view at our doorstep and for that I am lucky! So this week, we have already done some walking around the neighborhood. 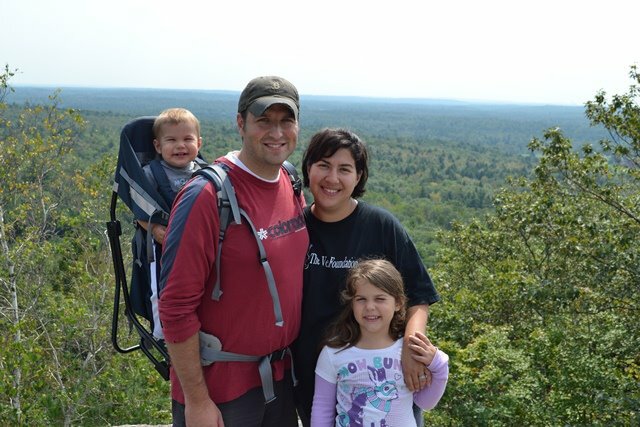 Sunday, Owen and I took a walk together while Olivia and Mike took a walk in the opposite direction. Tuesday we walked down to get Olivia from school even though it was sprinkling out. Starting Wednesday I got out each morning and took a walk! You get a beautiful view. I got caught snapping pictures! Love those smiles! 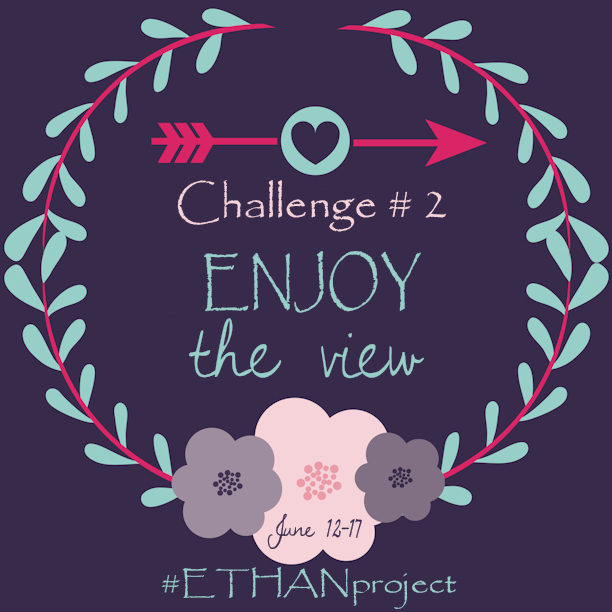 What are you going to do this week to enjoy the view?? Let me hear your ideas and let me see what you are doing! 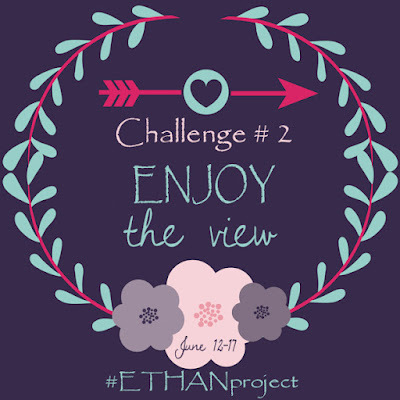 Show me on Instagram #ETHANproject and don't forget to tag me! Need or want some ideas? 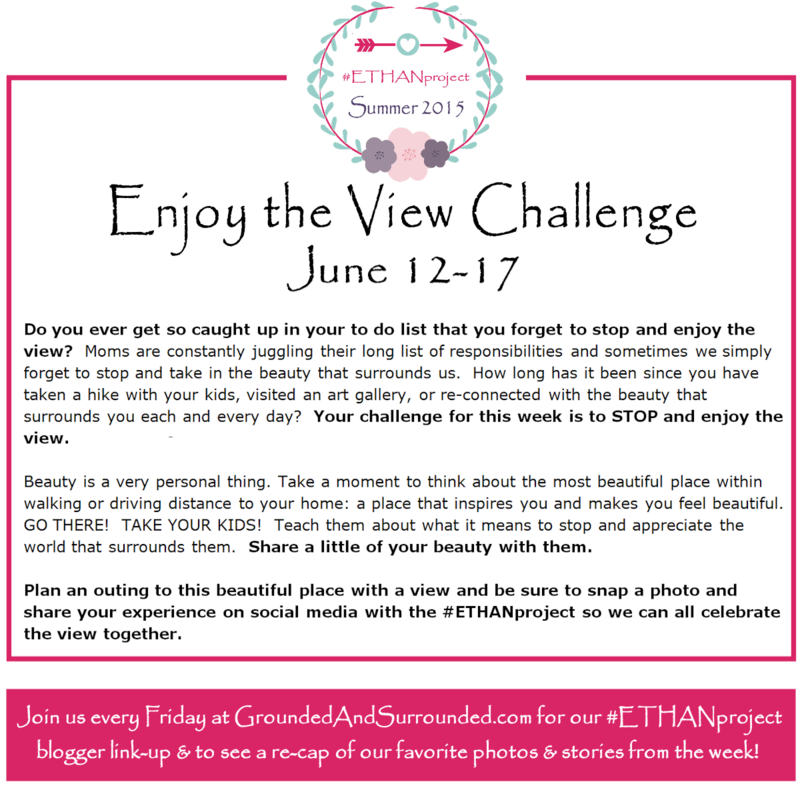 Check out the ETHANproject Facebook group or the link up at Grounded and Surrounded. Get out there and ENJOY the HERE and NOW! If you end up at that waterfall, I want to see pictures! It sounds amazing. I live out in the country and so we are surrounded by wide open spaces. I need to get better about taking my kids for walks to explore around here. I love the view of my kids' faces as well. Nothing beats catching them having fun or being sweet with each other. It is so true! The faces and the giggles! So much better than the yelling that happens too much! 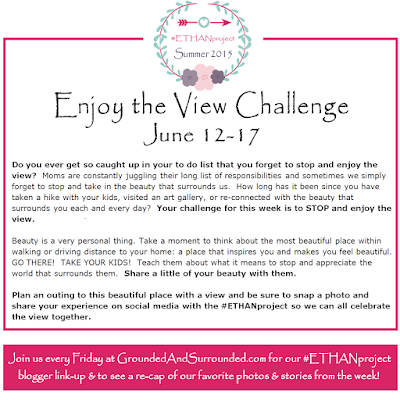 Im excited to do this! We live in the country so mine is almost the same as yours! I love looking out over the farm field! We live in the "city" of Maine, but in our neighborhood you hardly know it and I love it! I feel it is the best of both worlds! Thanks for stopping, heading over to check out your post! Love these pictures!! i also love capturing photos of my children laughing and playing together! Want to Lose Weight? Do These 5 Things! Weigh in Monday...on Tuesday Again! Summer Challenge, who is with me? ?